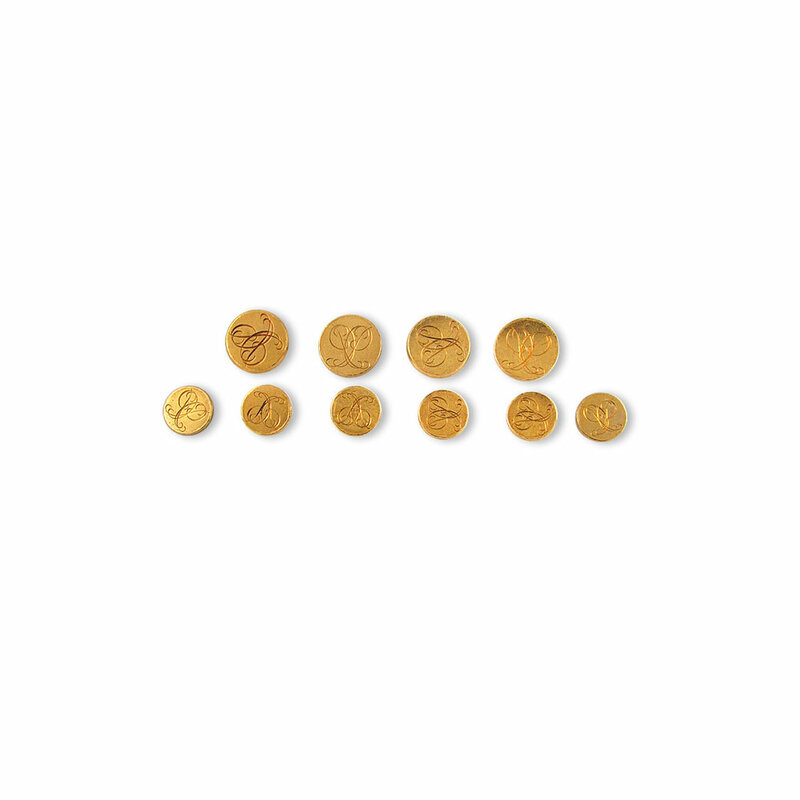 Set of 18KT yellow gold round sports coat buttons consisting of 4 large and 6 smaller each with a stylized scroll design. Signed Bulgari. The larger buttons are 0.75" in diameter. The smaller ones are 0.5". 59.7 grams.